WHO guidelines make the future of wind farms increasingly fraught as excessive noise is a health risk - Rite-ON! The Organisation highlighted that a lack of quality research into wind farms had made their task more difficult. This is exactly what multiple researchers have been saying about wind farms and wind turbines but to date they have been routinely ridiculed or ignored. Much will depend on how diligent has been the acoustic monitoring of wind turbine developments both before and after construction. This is a highly complex area and one that has been heavily criticised. It is firmly in the sights of the Wind Farm Commissioner. Independent monitoring of wind farms is needed and strict limits must be obeyed. The WHO statement makes clear it is a matter of public health. 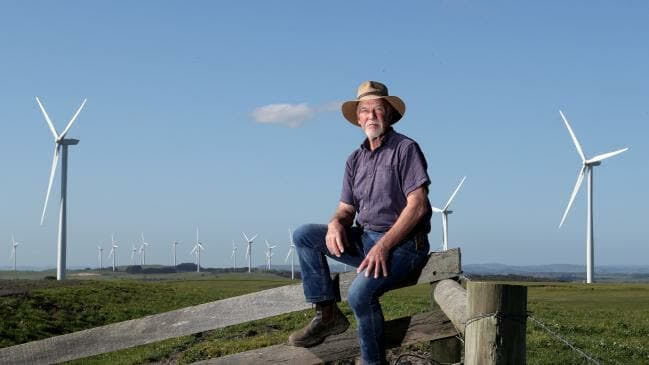 Don Fairbrother next to windturbines near his property in South Gippsland where residents are impacted by the Bald Hill wind farm. Picture: David Geraghty. In addition, the wind industry enlisted the support of a group of pseudo-scientists (almost always sociologists with bogus claims to medical qualifications) who invented the notion that the suffering experienced by wind farm neighbours is all the product of their febrile, ‘climate denying’ imaginations, whipped along by ‘scaremongers’ like STT and the Waubra Foundation. One of them, a former tobacco advertising guru, invented his very own diagnostic phrase, calling it the ‘nocebo’ effect. The guru was so clever, that he could make such a diagnosis without ever having met a single person suffering the effects of exposure to wind turbine noise. With superior, if not superhuman, powers he was able to reach his irrefutable conclusions from the sandstone cloisters of a University in Sydney, thousands of miles away from the victims and their tormentors. In yet another blow to wind industry blowhards, the World Health Organization has also rejected the nocebo nonsense relied upon to berate their victims and otherwise operate with impunity. 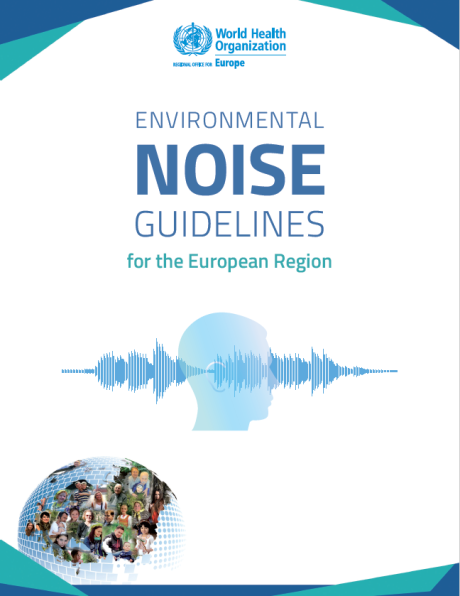 Wind power generators can cause health problems if they result in people being exposed to excessive noise levels, according to new guidelines for Europe that the World Health Organisation (WHO) has published. Exposure to wind turbines should not exceed 45 decibels during daytime, the Geneva-based UN agency wrote in the guidelines that it developed on behalf of the European Union. In comparison, soft radio music has 50 decibels. 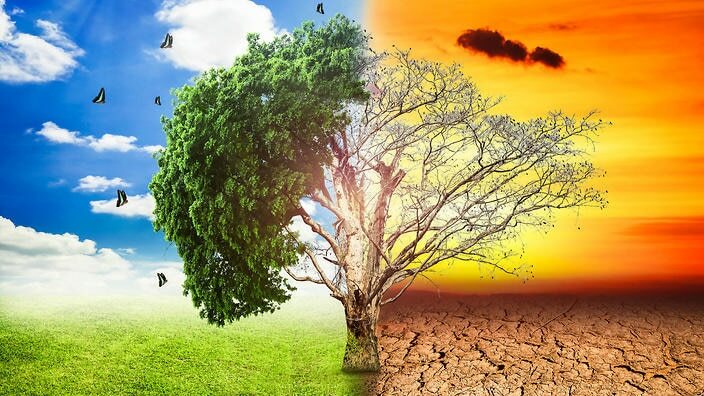 Although the recommendations were drawn up for Europe, they are relevant for the rest of the world because they are based on data from various continents, the WHO said. European policymakers should heed the guidance, WHO Europe chief Zsuzsanna Jakab said in a statement. “More than a nuisance, excessive noise is a health risk – contributing to cardiovascular diseases, for example,” she added. German authorities currently recommend a maximum wind turbine noise exposure of 55 decibels during the day. This update on the previous version from 2009 not only adds wind turbine limits to existing thresholds for aircraft, rail and road traffic: The WHO now also makes recommendations about leisure noise. The combined exposure from nightclubs, concerts and listening devices should not exceed 70 decibels on average per year – about as loud as a hair dryer. Independent monitoring is needed and strict limits must be obeyed. Don Fairbrother: the first of many, many plaintiffs. The most obvious consequence of the WHO’s belated recognition of the fact that exposure wind turbine noise is harmful to health, is that the wind industry’s victims are in a far better position to sue their tormentors, as well as those who ought to have been bringing them to account. 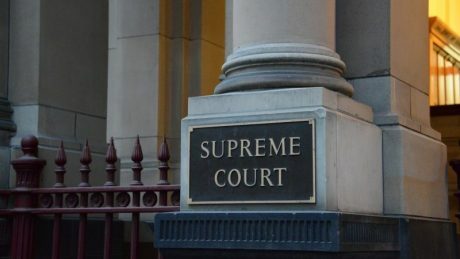 The first of what will soon become a raft of class actions was kicked off by a group of Victorian farmers from Gippsland – including Don Fairbrother (above), who are pursuing action in the Supreme Court of Victoria, seeking $millions in damages from the developer and Council. The community surrounding the Bald Hills wind farm, built by a Japanese developer, Mitsui and Co, have been tortured by incessant turbine generated low-frequency noise and infrasound since March 2015, when its 52, 2 MW Senvion MM92 turbines spun into action. Neighbours started complaining to the developer about noise, straightaway. Ignored by the developer and the Council, locals lawyered up and engaged the feisty and tenacious Dominica Tannock. The litigation that has broken out in Victoria, coupled up with the WHO’s report has clearly sharpened thinking amongst those who pretend to care about the lives and livelihoods of those forced to live with wind turbines in their backyards. 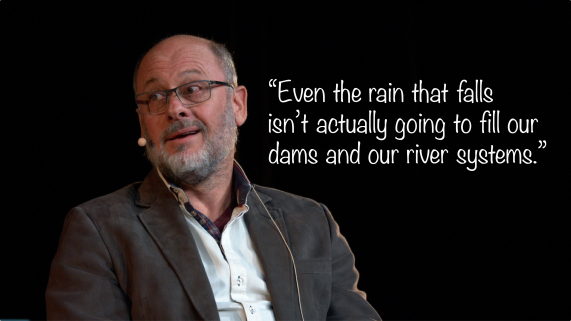 Andrew Dyer is Australia’s Wind Farm Commissioner. Notionally, his office is about protecting rural residents from the wind industry. In reality, Dyer has bent over backwards to assist the wind industry to operate with complete impunity. 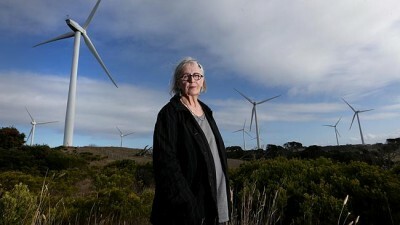 When Sonia Trist one of Pacific Hydro’s long-suffering victims at Cape Bridgewater resident, who lives within 640 m of wind turbines told Dyer she was “living a life of misery” as her house was now worthless, Dyer simply to her “to move out”. Dyer made no mention of any compensation for the loss of her home and the value of it, by the way. Apparently, the concept of human compassion and decency is not in Dyer’s make up. Although, as it now appears, self-preservation most certainly is. In the wake of the WHO report, Dyer has changed his tune and, all of a sudden, appears to be very concerned about the effect of wind turbine noise on rural residents. Noise monitoring of wind farms must be tightened to ensure they never exceed new guidelines set by the World Health Organisation, Australia’s wind farm commissioner has said. The WHO yesterday confirmed excessive wind turbine noise could be linked to health problems and for the first time included the renewable energy source in regulations covering road noise, aeroplanes and loud music. A WHO investigation highlighted a lack of quality research into wind farm noise and health and said because of its special characteristics, existing measurements might not be adequate. It made a conditional recom­mendation that a level be set for average noise exposure of below 45 decibels. “Wind turbine noise above this level is associated with adverse health effects,” the WHO said. Australia’s Wind Farm Commissioner Andrew Dyer said the recommendations were similar to Australian regulations, which ranged from 35dB to 45dB. Mr Dyer said he would prefer to see a uniform noise level set in all states. Of particular concern had been the use of the same acoustics consultant for pre- and post-construction measurements. New regulations in Victoria insist different, independent consultants be used for before and after testing for new projects. On health, Mr Dyer said more research was needed, including two studies commissioned by the National Health and Medical Research Council, which were not due until after 2020. The WHO said the evidence on the adverse effects of wind turbine noise was rated low-quality, but it said the noise emitted from wind turbines had other characteristics, including the repetitive nature of the sound of the rotating blades and atmospheric influence leading to a variability of amplitude modulation, which could be the source of above-average annoyance. 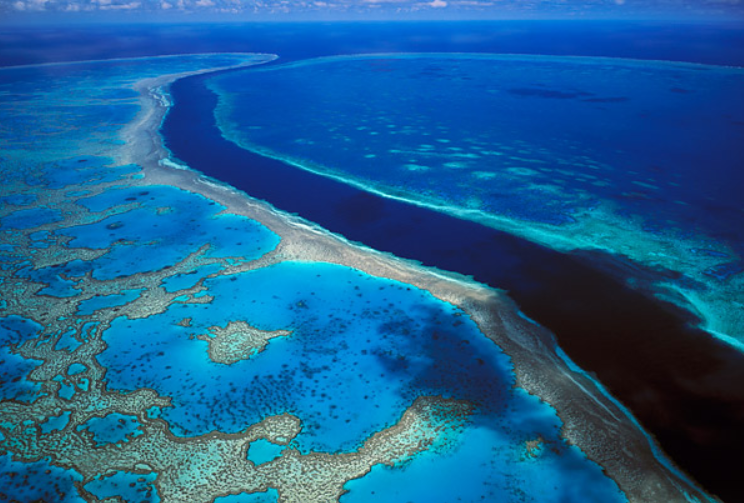 “This differentiates it from noise from other sources and has not always been properly characterised,” the WHO said. This might “limit the ability to observe associations between wind turbine noise and health outcomes”, the WHO said. Acoustics expert Steven Coop­er said what was missing were socio-acoustic studies to give a dose-response curve to better indicate safe exposure levels. Mr Cooper has presented research that showed people who were sensitised to wind turbine noise could “sense” the operation of a wind turbine signal in the laboratory even though no one else could hear it. Mr Cooper said the WHO recommendation was significant, but more work was needed to understand the characteristics of wind turbine noise and the dose response. The Waubra Foundation, which has campaigned against noise from wind farms, said it welcomed the WHO statement. “This is long overdue acknowledgment by the WHO of health risks from excessive wind turbine noise,” the foundation said. Sonia Trist: one of Pacific Hydro’s victims at Cape Bridgewater. Given his past performance, STT suspects Andrew Dyer’s concerns are more about being named as a defendant, along with a raft of other officials and bureaucrats who, like Dyer, have happily relied upon bogus and completely irrelevant noise ‘rules’, faked noise reports produced by the developer’s pet acoustic consultants and the rubbish about ‘nocebo’ effects, cooked up by wind worshipping pseudo-scientists, to treat those they are legally responsible for with complete and utter contempt. The WHO’s report means that people like Dyer can no longer get away with ignoring or berating people suffering from exposure to practically incessant wind turbine noise; people just like Sonia Trist. As the number of wind industry victims mounts, the number of potential plaintiffs ready to exact revenge increases, too. From his rapid about-face, Andrew Dyer seems acutely aware that those victims will be looking to visit their vengeance upon spineless characters just like him.